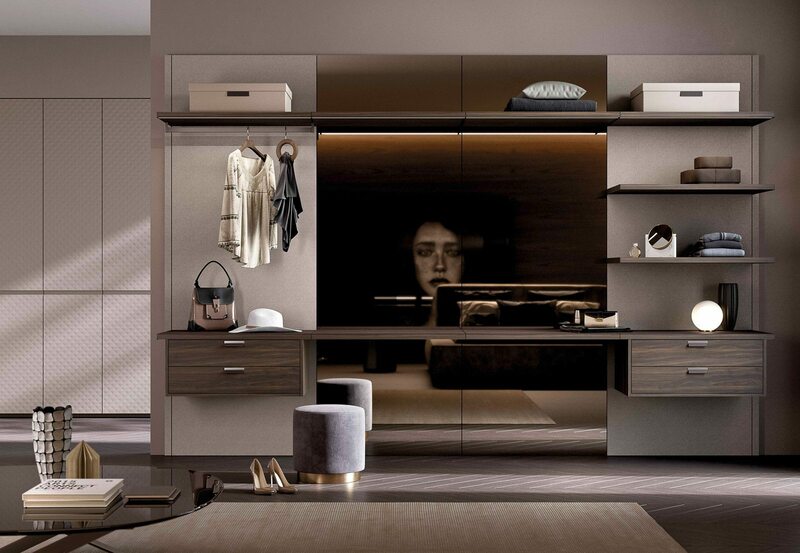 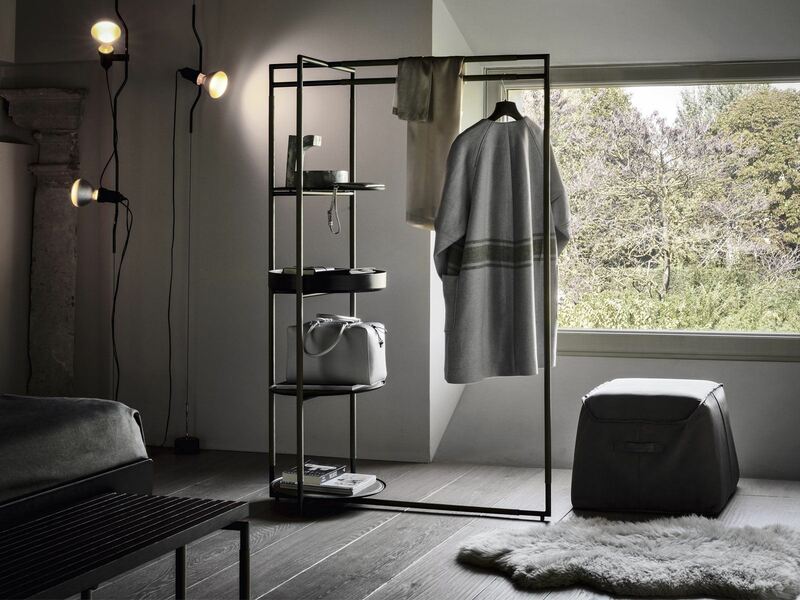 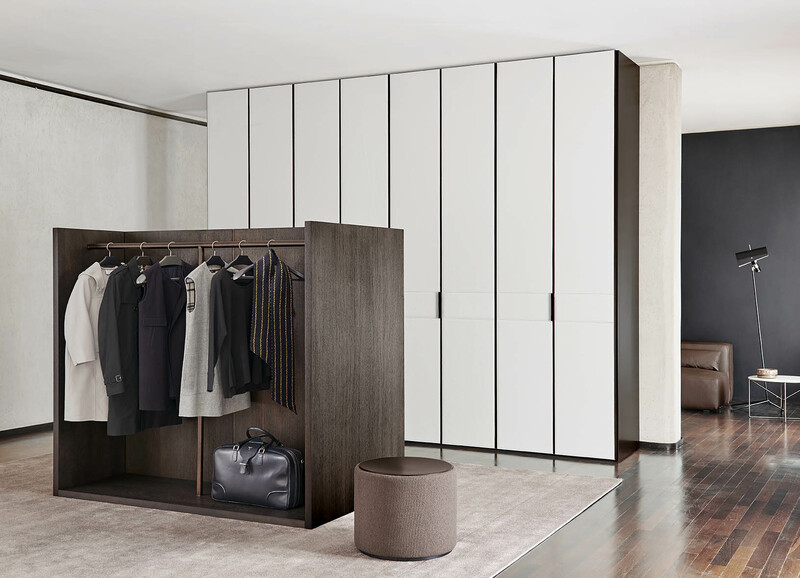 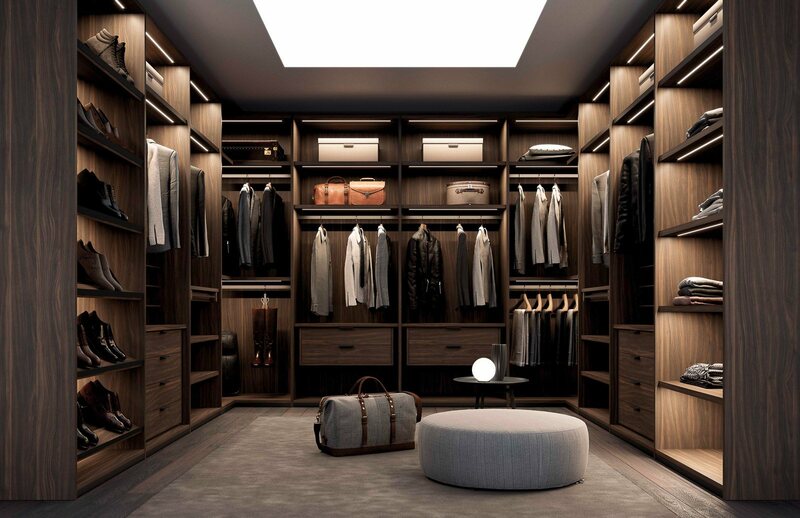 The Alibi wardrobe has a perfectly coplanar structure: the only features that interrupts its linearity are the colourful geometric shapes in different sizes and shades that conceal the handles. 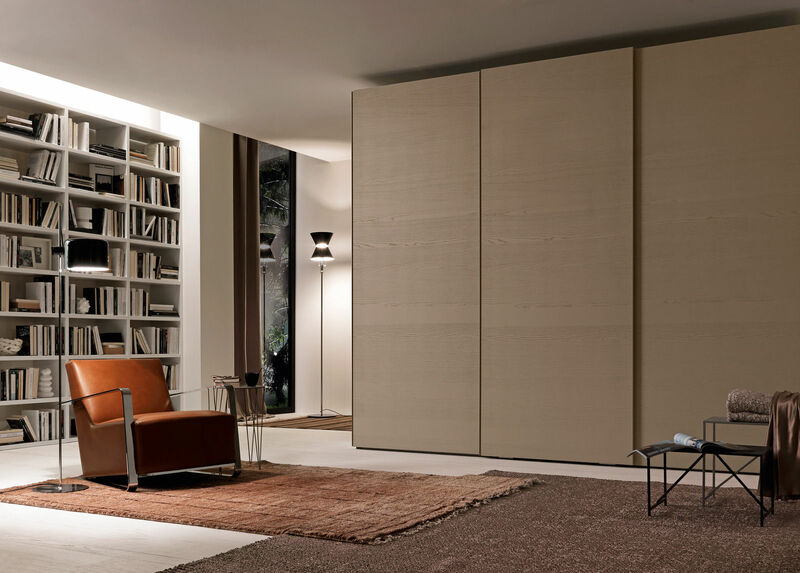 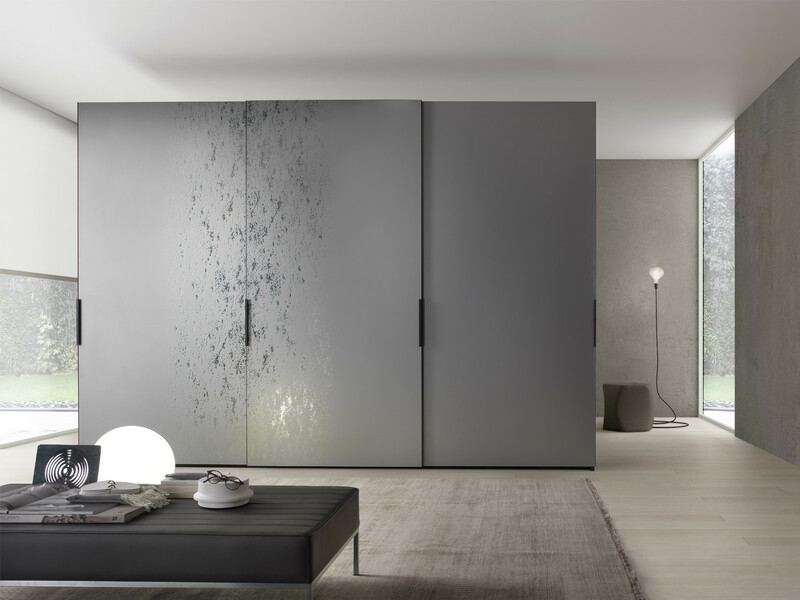 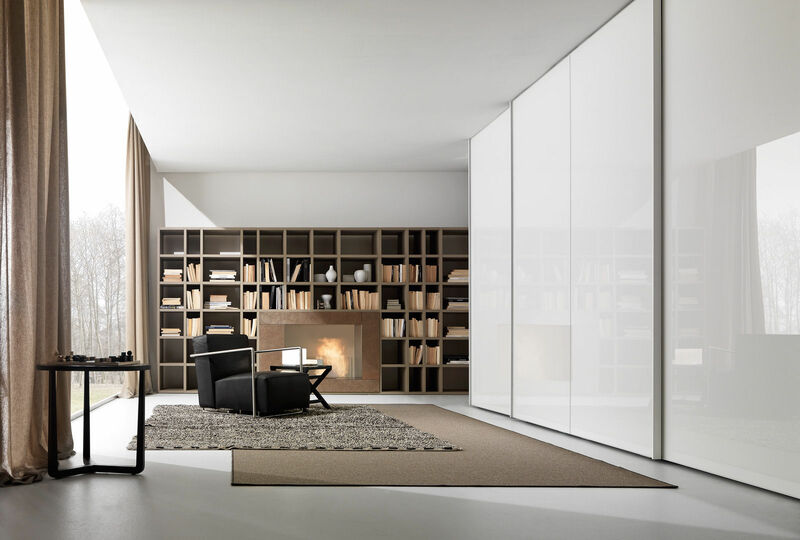 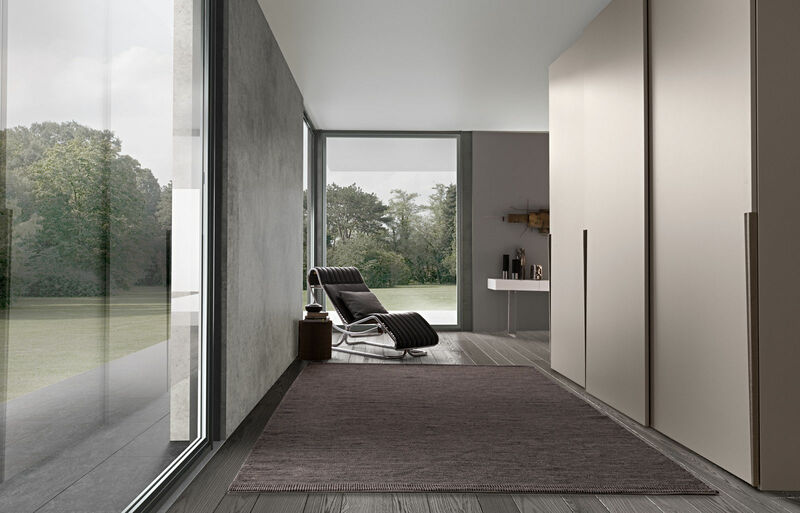 The Alibi coplanar door is composed of two panels in different thicknesses: the central panel can be fitted with a large square, rectangular horizontal or rectangular vertical customisable handle insert. 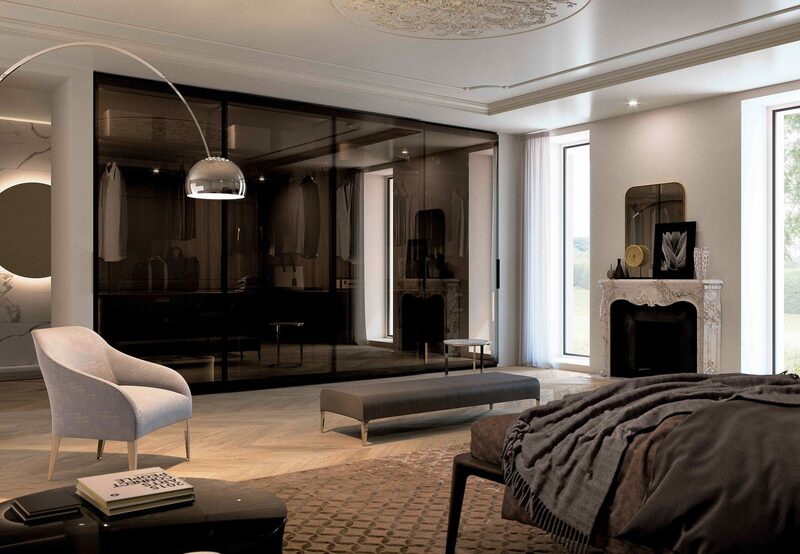 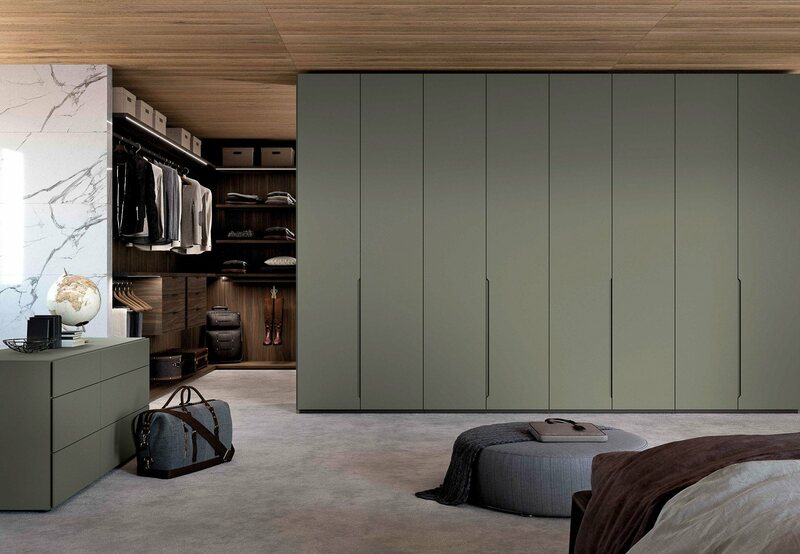 The door can be customised in different matt and gloss lacquers finishes and in 12 different color wood colours. 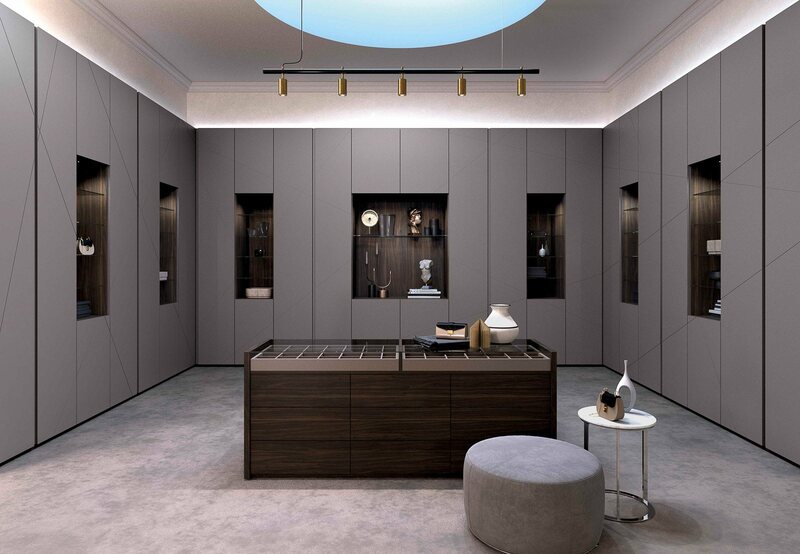 The insert can be also in stone, oak, leather and silver and gold leaf finish. 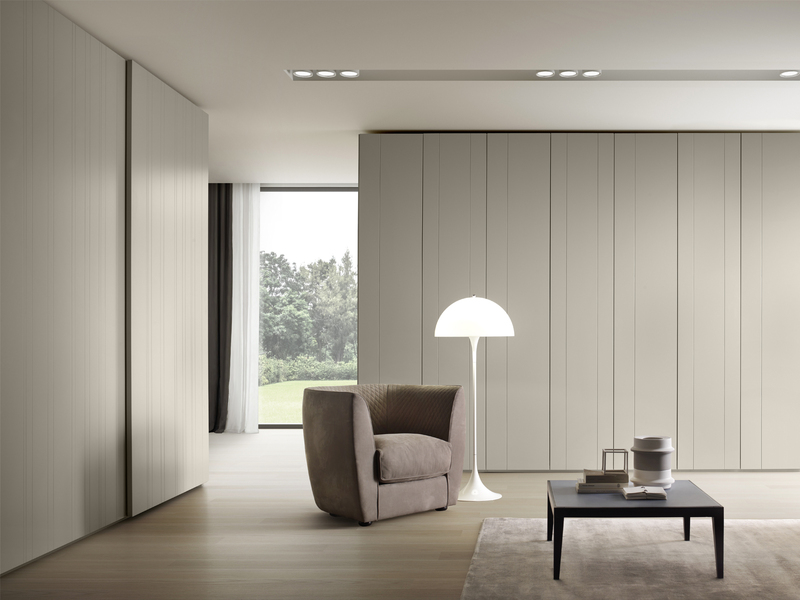 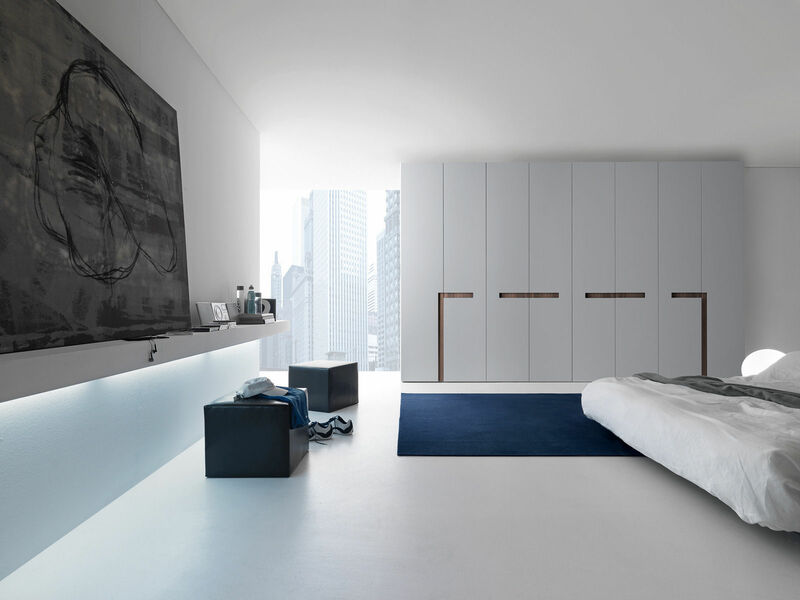 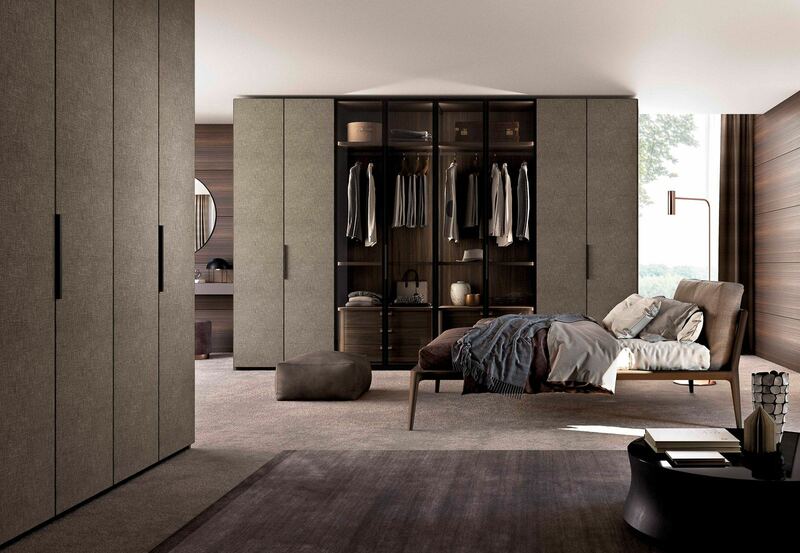 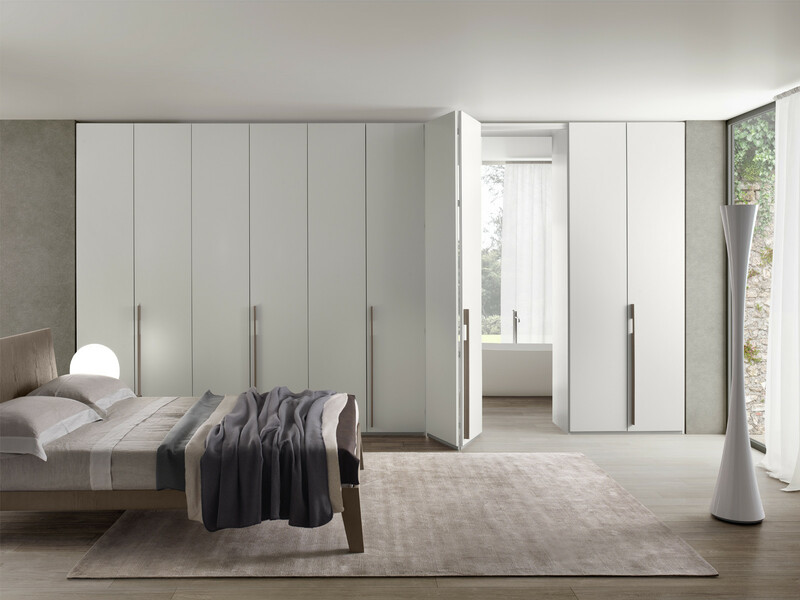 All the Tecnopolis wardrobes stand on aluminium frames that ensure quick assembly and disassembly and prevent the typical imbalances of wardrobes on wooden bases, as well as isolating the structure of the wardrobe and its contents from damp floors. 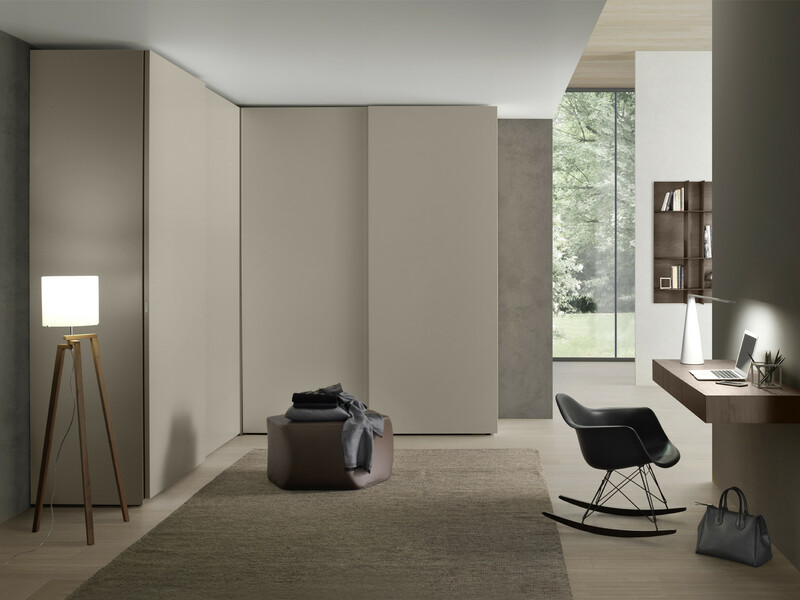 Lastly, the practical removable bottom panel simplifies cleaning and can also be used as a secret compartment. 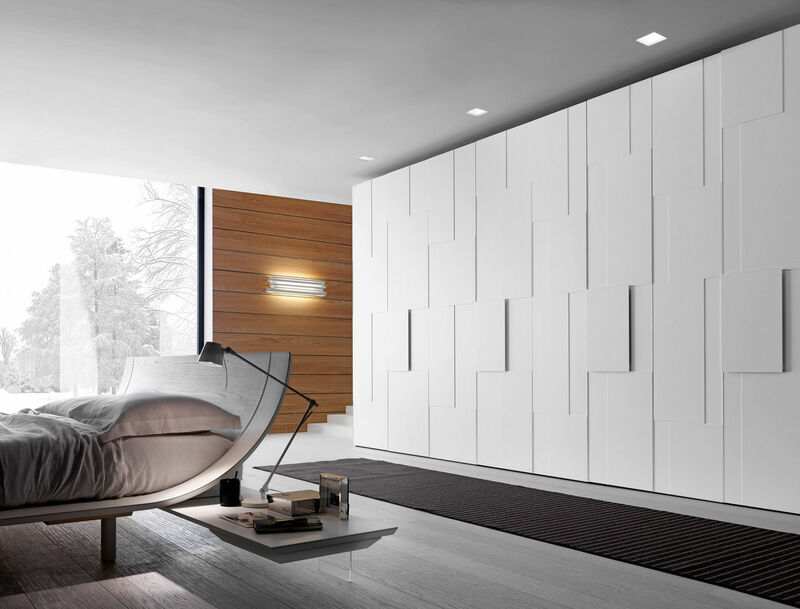 LSP offers a free home design consultation to check wall types, measurements, finishes & to discuss your storage requirements. 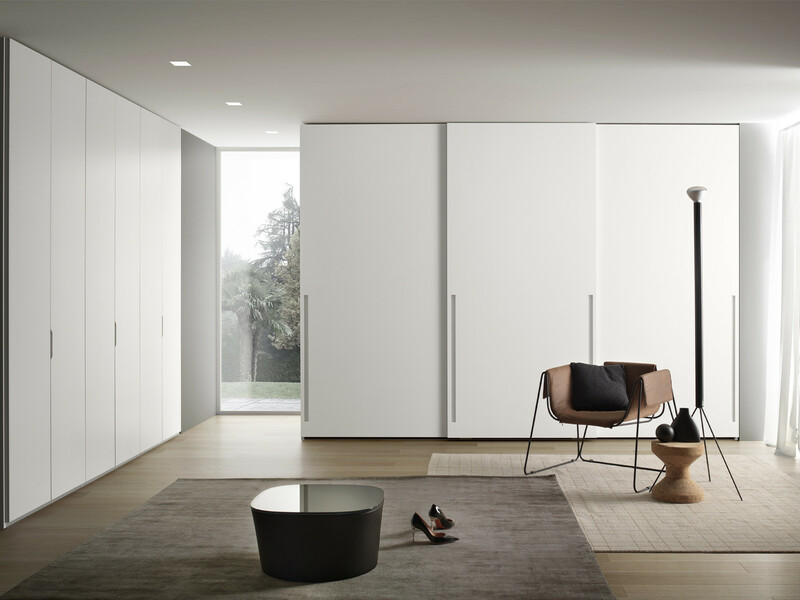 LSP offers a free professional home design consultation to check wall types, measurements & to discuss your storage requirements in full. 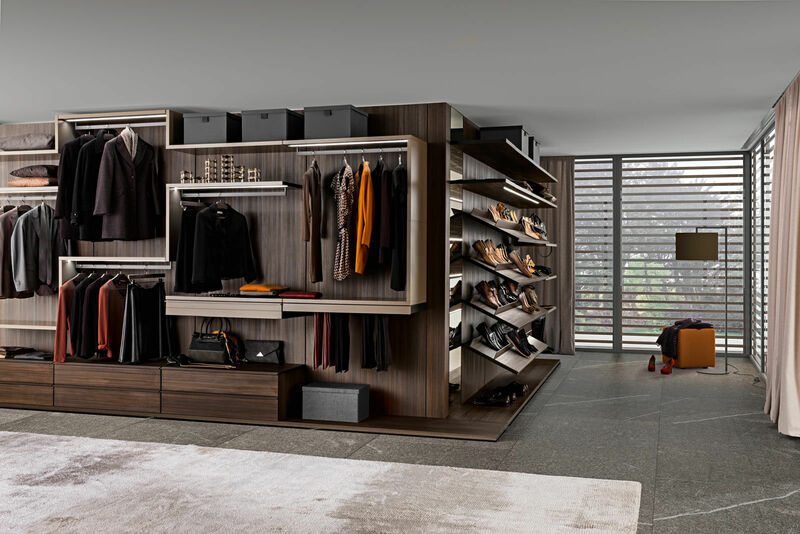 This service includes full technical 2D drawings 3D visuals.